OC’s premier birthday party destination set to open trampoline laser maze on September 22nd! Big Air Trampoline Park® in Laguna Hills, voted parentingOC Magazine’s Best Birthday Place two years in a row, is excited to announce its new attraction, The Laser Maze at Big Air. It will be the first trampoline laser maze on the West Coast and will add to Big Air’s exciting mix of attractions, including Battlebeam® and The Wall. 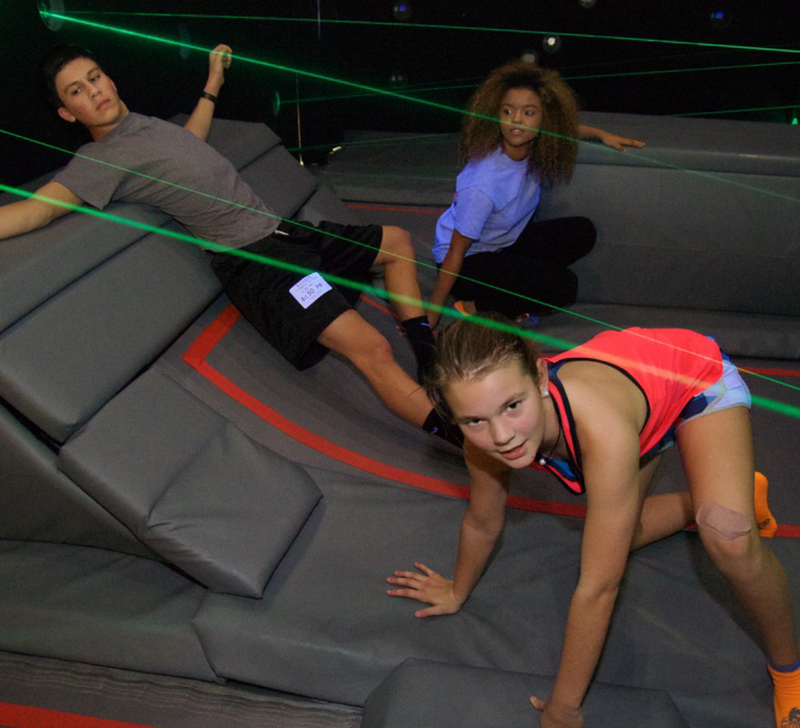 The Lazer Maze will feature multiple game plays and difficulty levels, providing guests of all ages with an exciting and challenging experience. In the Lazer Maze Challenge gameplay, players are challenged with bouncing their way across a dark room filled with a dense field of lasers, without breaking any laser beams. Making the attraction even more challenging, this will be the first laser maze on the West Coast to incorporate trampolines. Younger guests will enjoy Beam Buster, a gameplay that encourages participants to break as many beams as possible in just 30 seconds. A leaderboard showcases all-time high scores, and all the excitement can be viewed while waiting in line as digital monitors display a live feed of the action. The Lazer Maze is included with park admission and will open to the public on September 22nd, 2017. The attraction’s opening weekend will include raffles, a social media contest, and more. A special preview event for active Big Air members will take place on September 21st from 1-9 p.m.
Big Air Laguna Hills is open daily and located at 23251 Avenida de la Carlota, Laguna Hills, CA, 92653. For more information, visit bigairusa.com or call 949.305.9788.